An artist, organizer, and educator. 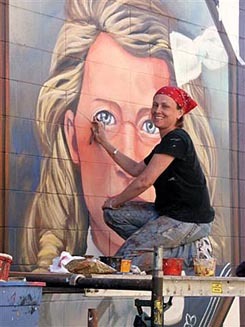 Michelle Loughery has worked in the field of community public art for 18 years and has created over 80 large-scale murals, working with intergenerational groups, teens, elders, and children. A huge part of her endeavors in the Public Art field is the acquisition of grants to help make her public art ideas a reality. 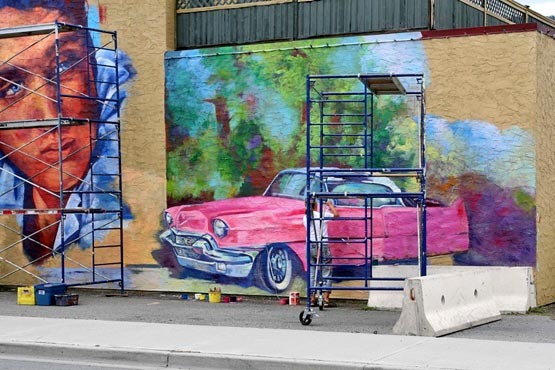 Ideas are one thing, but to find the granting opportunities to make these dreams an actuality is another skill Michelle dedicates countless hours to.Michelle draws on her rich experiences in rural Canada to portray a wide variety of historic scenes in her murals. She carries the name of the small coal mining town of Michel, B.C., in which she was born and raised. Her rare talent in creating large-scale art is an enduring public reminder of Canada's diverse peoples, heroes and rich cultural heritage. 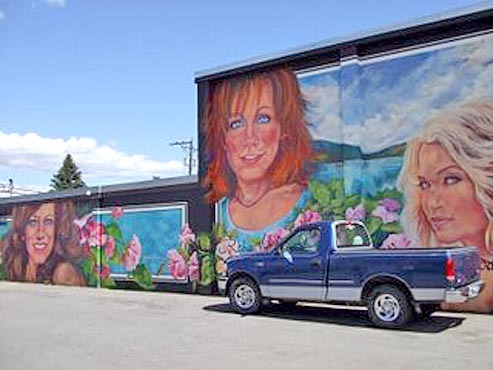 In addition to accepting commissions for public, corporate and private murals, Michelle offers a unique community art program in conjunction with public art mural assignments. This totally original program enlists young artist and art students in the community as apprentices, and trains them in the techniques of large format art. 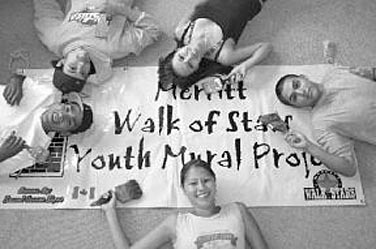 Raised in a small community where she struggled to find support for her dream to become an artist, Michelle now encourages young Canadians to celebrate their talents and imagination through these mentor ship mural projects. 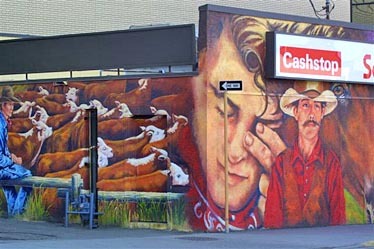 Heritage murals offer an outstanding opportunity to promote community awareness of Canadian culture while offering young talent experience and training not available through traditional educational resources.Loughery specializes in facilitating complex collaborations in which community members work together to articulate a vision of their shared history and values, of differences and difficulties, and of their vision for possible futures. Participants have the satisfaction of creating permanent art works for their community as they develop skills in collective planning and decision-making. 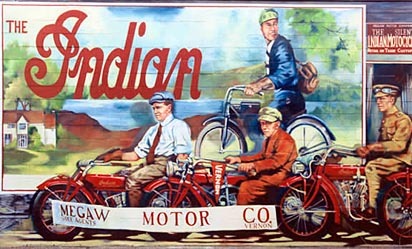 Heritage murals offer an outstanding opportunity to promote community awareness of Canadian culture while offering young talent experience and training not available through traditional educational resources. The work is an attempt to create "an aesthetics of collaboration," seeing art making as a part of the collective making of meaning, which creates social, community consciousness. It is a total inter-generational experience where the Art becomes a by-product of community interaction. 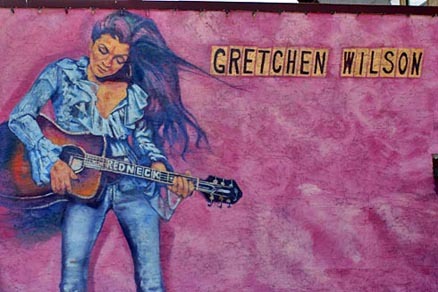 Artist Michelle Loughery can work with the community to contract with schools, community-based and governmental organizations, conference planners, and the private sector in the creation of participant-driven murals. The emphasis of these art projects is on the process that encourages team building and develops pro-social messages. 1. Engage identified youth/residents in the project through community mobilization strategies, which include informal and formal discussions and presentations. 2. Assess and prioritize relevant issues through focus groups and community meetings. Initial issues can include: cultural concerns, attaining a sense of community, positive living. 3. 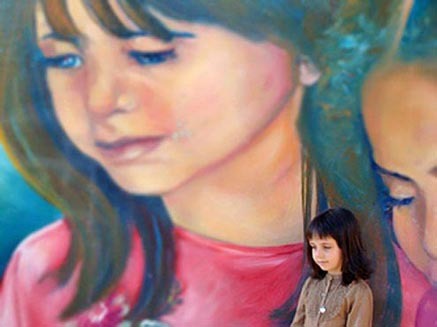 Develop themes/concepts for the mural based on the issue assessment as part of an overall strategy to address concerns. 4. 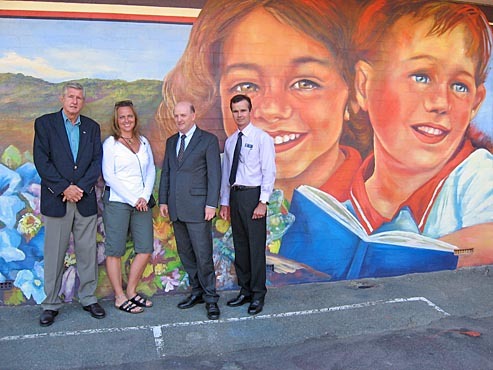 Facilitate community meetings to develop a mural design. The actual design will be generated through a consensus process. 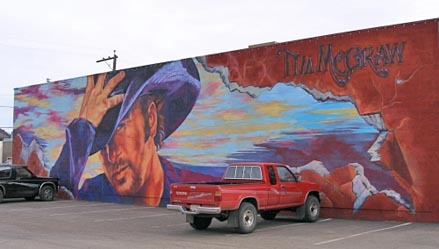 Individuals from the community will contribute their resources, ideas, time, and/or artistic talent directly towards the creation of the mural. 5. 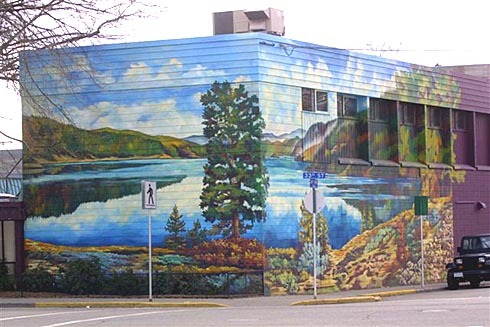 Coordinate the painting component: community members will paint The Community Murals. Different work groups will simultaneously work on specific tasks: material preparation, support activities, sketching, individual painting, organized group painting by segment, clean-up, feedback, etc. 6. 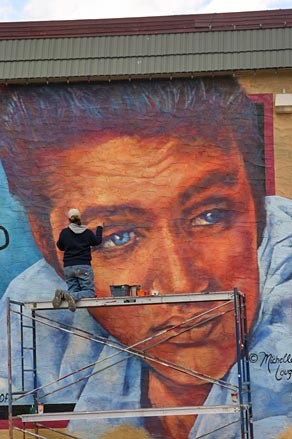 Work with individuals in the community to organize a celebration and to dedicate the Community Mural--including media coverage, and recognition of participants and contributors. 7. Identify follow-up and community organizing activities (planning other cultural projects; etc.). 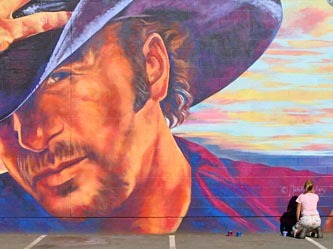 The mural project has two important features: The process and the product. The process is the coming together of diverse individuals to develop a vision and work collectively to achieve a common goal. 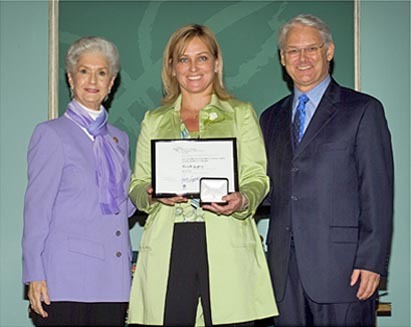 The merit of this educational process is that everyone is valued for his or her contribution (diversity is rewarded) and success is based on the ability of the participants to support one another in reaching their goal. 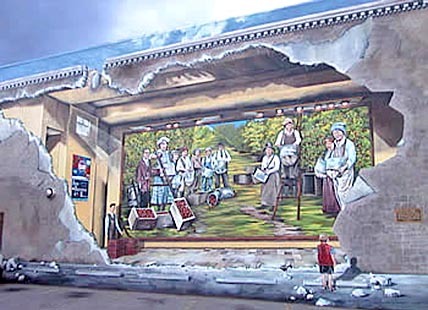 This process also leaves a product--the mural-- that serves as a conspicuous reminder that by working jointly the community can meet its challenges. 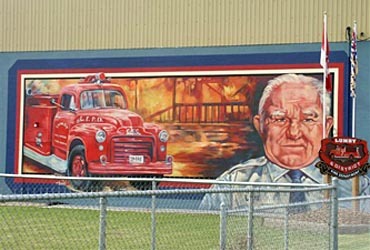 The mural then does more than instil community pride. The mural becomes the first in a series of tangible steps residents, students, and other community members take in jointly rebuilding their community. 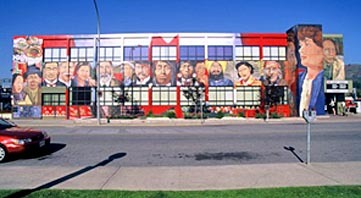 Canadian Summer Career Placement Public Art Grant 1995, 1996,1998.
numerous Basic Assistance and Activity Grants. I am an artist whose work is large scale, collaborative, public art pieces. I make community-based monuments, which arise out of dialogue and exchange with community members. Mentorship is a natural outgrowth of my work as an artist. It is part of my projects that flowed into community public art, and now I find the circle completed with a renewed interest in how community, culture, and change are part of the educational process. I want students to experience the fullness of their potential-- artistically, intellectually, emotionally, spiritually, morally, and socially. Adults and children bring complex ideas and a host of life experiences to the mural projects, our task as mentors, is to create a dialogue with students while we pass onto them the best of the many legacies of culture and knowledge to which we have access at this place and time. I want my participants to experience joy in learning. I want to help to cultivate an appreciation of nuance, of subtle differences of form, colour, light, metaphor, meaning.... I want to help develop discipline, the ability to focus, to engage in a complex process.... I want students to see that culture is created and that it can be re-created. I want students to have the power to dream great dreams and the means to accomplish those dreams. 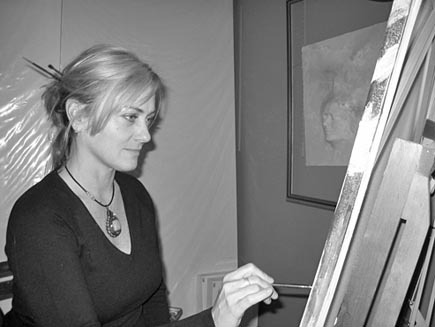 Visuals found on this page represent the original works of Michelle Loughery and cannot be reproduced in any way without the written permission of the artist.